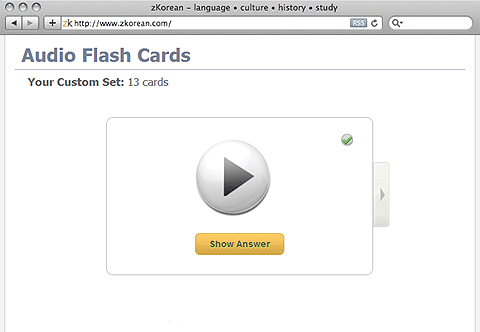 Learn Korean vocabulary and pronunciation with real native-Korean pronunciations, flashcards (text and audio), one-click word lookup for quick translation, and Romanization to help you learn how to read Korean. Want to see more before you decide? I've been using your website for a week now and absolutely love it, especially the online keyboard and dictionary. It is such a bargain that I have told my sister, who is also trying to "relearn" Korean about it. 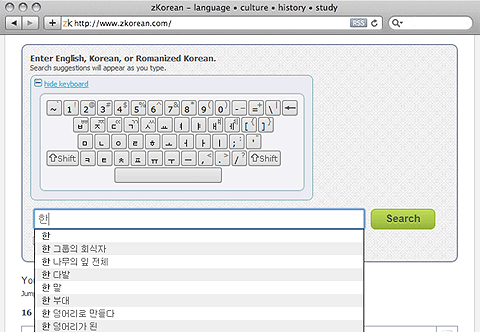 I have been trying to learn how to read and speak Korean on my own and this site has been VERY helpful. Please keep up the FANTASTIC JOB !!! I don't use my paper dictionary anymore. 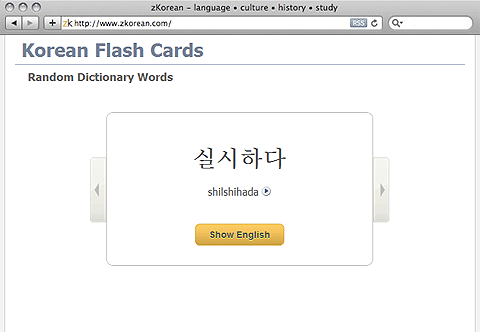 zKorean offers more with pronunciations! I love it! Your customer service is excellent. You've always been quick and helpful when I ran into trouble.